We use pathways to help you visualise the best route into the career you’re interested in, and support you in making the right study choices at Year 12. We work closely with you and your parents to make sure you opt for the best combination of subjects to help you achieve your dreams. And, if you’re unsure about your future goals, we can advise you on how best to keep your options open and find out what really inspires you. We also offer our students a variety of project-based learning, placements and masterclasses, so you get a real taste for the jobs and environments that you’re passionate about. Review your Sixth form options here. If you haven’t achieved a Grade 4 or above in English Language and/or in Maths at GCSE, you will need to successfully resit them alongside your subject choices. Our project programme underpins the work-based ethos of the UTC. Students participate in practical workshops, experiment, research, seminars and enrichment opportunities connected to an area of study. This significantly improves your confidence, motivation, self-respect, academic achievement and skills development. All of our post-16 courses include work-related activities and opportunities for work placements. 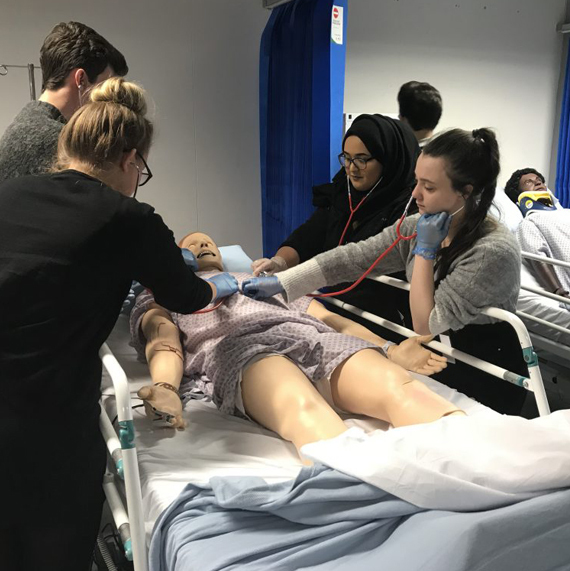 Our students regularly benefit from inspirational masterclasses delivered by our industry partners, hospital consultants and university academics. Medicine, dentistry and veterinary science are some of the most academically challenging degree courses to gain a place on. Similarly, this pathway is a challenging, intensive preparation for applying for these courses. Work on a range of projects that teach the basics of biomedical and life sciences, and participate in work placements, including the Royal Liverpool Hospital and Knowsley Safari Park, to support your UCAS application. If a career in medicine, dentistry or as a vet is calling you, take the opportunity to experience a number of exciting work placements, masterclassses and projects designed to help you achieve your goals. Understanding the world around us guides exploration on the engineering and physical sciences pathway. It combines perspectives from physical, chemical, environmental, mathematical and geological sciences and is ideal for students who enjoy lab work, research, complex equations and methodical analysis. If you’re looking at A Levels in chemistry, physics and maths – with a view to a career in engineering – this could be the option for you. By studying the heath and care pathway, you’ll gain a broad understanding of the human mind and body, and the causes and symptoms of some diseases – ideal for anyone considering nursing or midwifery. 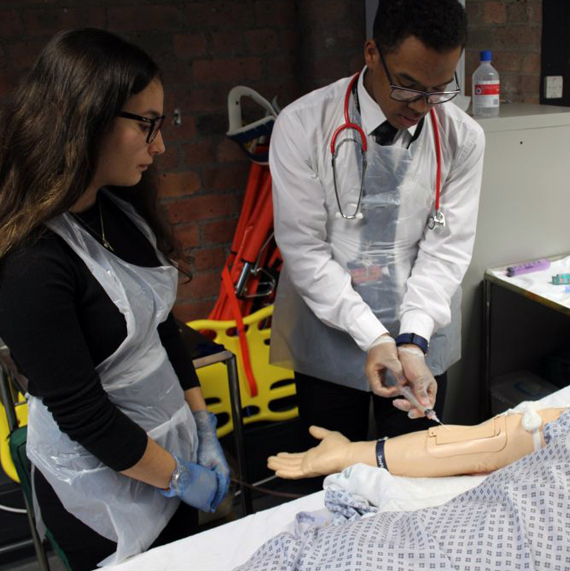 You’ll examine a range of health topics including anatomy, psychology, acute and chronic conditions, genetic and nutritional disorders, mental health and infectious diseases, backed up with a work placement at the Royal Liverpool Hospital. Explore the principles of the care sector from a scientific, sociological and psychological perspective. The perfect springboard to enter a caring, social work or community work-based profession, it’s a highly practical pathway. A range of work-related projects and placements ensures you’re well prepared for a job when you leave us, or to access a higher education course such as nursing, care or social work. The life science pathway gives you knowledge and expertise in technical laboratory work, and has evolved to support the need for more specialists in this area. You’ll gain the numerical, analytical and communication skills that many key employers look out for, including the NHS, pharmaceutical, chemical and agrochemical industries, and government agencies like the Department of Health. Work placements with our partner organisations are a key element of the learning experience, creating a highly practical pathway with lots of opportunities for projects and placements. Forensic science is geared around using a range of scientific techniques and principles to resolve legal disputes. You’ll have an analytical mind, pay attention to the details and be interested in biology, chemistry and, potentially, the study of the mind. You’ll need to have the motivation to investigate your work fully, uncovering the evidence to support your studies. You will need to meet deadlines and work independently. You can combine your study of science with learning more about the law in criminology or the mind in psychology or sociology. Or, specialise in the social sciences which will allow you to understand how and why people behave as they do, study society and understand unemployment, how people vote and what makes people happy.